the public to make the best decision for their situation. We have listed several testimonials on our site for your convenience. If your would like to review or leave your thoughts please click the provided links to the various social directories for more information. - We had the most carefree and smooth help in selling our rental property. After having several offers and other buy-our-house companies, we got the highest in value and closing was a breeze. We highly recommend Kathy Buys Houses. 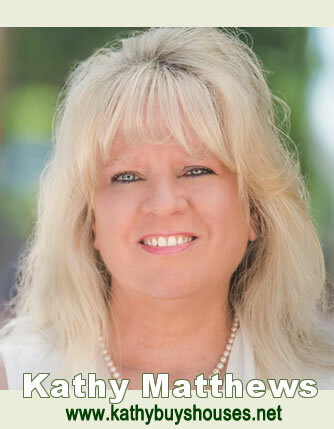 - My experience with Kathy Mathews has been extremely professional and uncomplicated. The most critical aspect was that Kathy explained in exact detail the entire process including how the value of your home is determined and the closing process during our first telephone conversation. Once an offer had been made, there was no pressure to hurry up and make a decision allowing for time to consider options, have an attorney look at the contract before it was signed and plan movers. This was a stress-free experience as I believe one could have in selling a home.